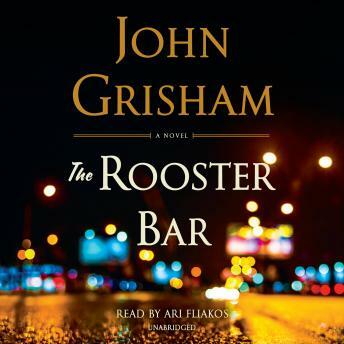 One of John Grisham’s very best novels. It held my interest throughout the entire book. Couldn’t put it down. The narration was awesome. One of Grisham's top 3. Loved it. Liked it very much. It seems that it could be a real story. Always like his books. I liked the narration . I wasn't a fan of the narration at first; however, after a while the narrator grew on me. The book itself was very interesting: though a work of fiction, it seemed quite plausible. It was a good story. I thought the narration was lacking. I? could not stop listening Grisham exposes the trap of unethical law schools for profit. Beware. Just as importantly, we learn of gut wrenching plight of immigrant families. Disappointed in the glorification of dishonesty, although it sort of reflects our president. Turned it off twice because it offended me. Think I am getting a little thin skinned due to our political environment . Felt the author wanted to glorify dishonesty. I expected more from the Author. Book started off exciting then went downhill very quickly. I expected much more out of a John Grisham novel. Terribly disappointed. Not worth the time. The narrator was great though. The narrator seemed as bored by the plot as I was.